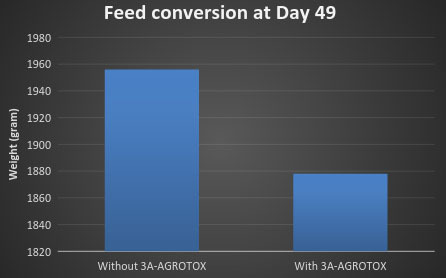 3A-AGROTOX powerfully binds to and inactivates mycotoxins present in mould-contaminated feed whilst supporting overall gastrointestinal health. Every raw material used in the production of animal feed, invariably contains large amounts of mould spores that are not all destroyed during processing. These spores produce mycotoxins which are detrimental to animal health across all species. Mycotoxins reduce feed intake and damage the cell lining the gastro-intestinal tract leading to diarrhoea and other enteric disorders. Mycotoxins can enter the blood stream which results in detrimental effects to other organs such as the brain, reproductive system, kidneys and liver. As a consequence, a reduction in growth, reproductive performance and general health is observed. 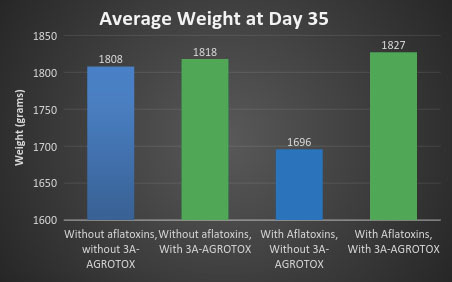 3A Agrotox is a blend of compounds chosen for their ability to selectively adsorb mycotoxins, whilst supporting the establishment of beneficial intestinal micro-flora and health of the digestive system. The clay minerals found in 3A Agrotox, act by forming a stable electrochemical bond with aflatoxins. Once this bond is formed, the toxin is inactivated and prevented from being absorbed in the gastro-intestinal tract. The body is them able to remove the bound toxin easily through the faeces. Other ingredients in 3A Agrotox have a wide adsorption profile to a range of mycotoxin species. 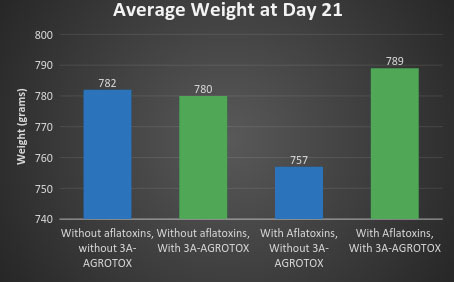 Additionally, specific constituents found in 3A Agrotox bind to pathogenic bacteria thereby inhibiting its growth and proliferation whilst also promoting the growth of beneficial bactierialeading to optimal digestive health. • Produced from naturally occurring compounds and safe to feed to all classes of livestock. • Reduces humidity levels in stored grains and feeds, therefore preventing mould and toxin growth. • Contains mannan-oligosaccharides (MOS) and beta-glucans which help maintain and establish beneficial gastro-intestinal bacteria. 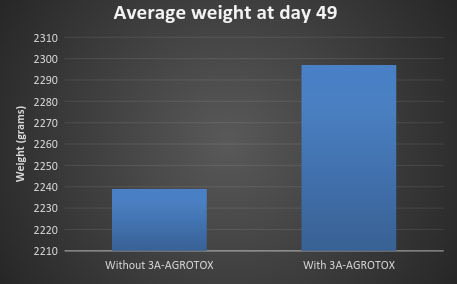 3A –AGROTOX should be used at a rate of 1-2 kg per metric ton (MT) of finished feed. In extreme cases of mycotoxin presence, dosage can be increased to 2.5 kg per MT. Stable for 2 years when stored in dry conditions in original packaging. 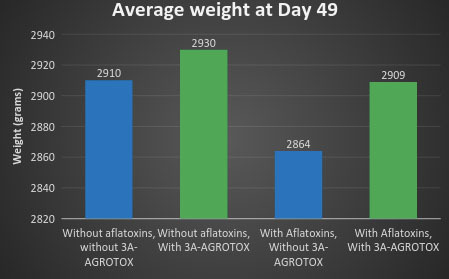 3A AGROTOX is packed in 25 kg polyethylene bags with an internal poly liner.